What does it take for an international brand to launch in India? Hundreds of people lined up outside as IKEA’s first store in India launched in the capital city of Telangana, which is regarded as the next stop destination for all global giants to enter the lucrative Indian retail market. 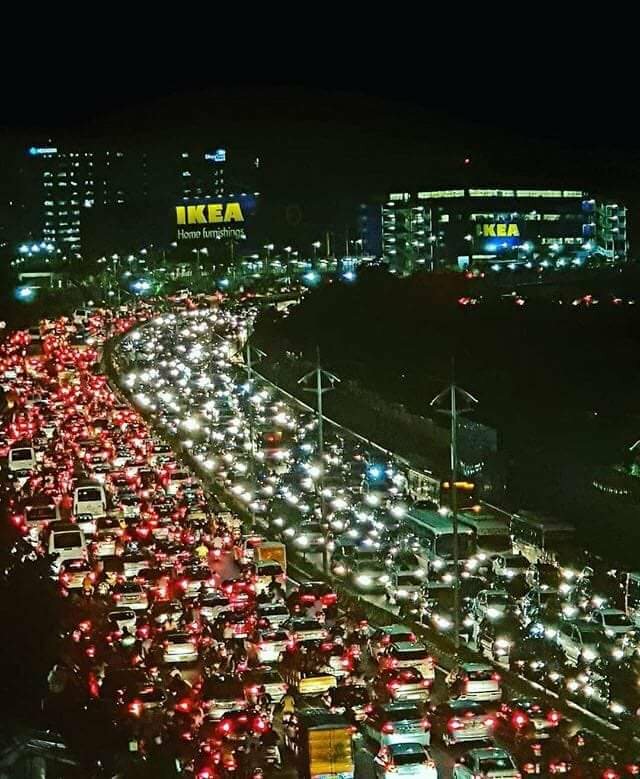 Pictures flooded the internet about the traffic jam (read human traffic jam) outside the store and social media declared IKEA a clear winner in successful advertising strategy by any brand in India in recent times. Now, some would say that’s how you launch a global brand in a new country. The launch of the Swedish giant’s maiden store in India wasn’t devoid of multiple marketing hits. From signing up for delivery via autorickshaws to empty cartons strategically placed on the luggage belts of the Hyderabad airport, the launch was the talk of the nation. It's not new for IKEA to get the kudos for its marketing and advertising. The company had won Advertiser of the Year Award at the 58th Cannes Lions International Festival of Creativity. But what does it take to make a brand launch in India impressive? A brand’s launch is important because it builds its initial reputation, gets the required eyeballs and sets the tone for its future business prospects. Given the Indian market, which also has smaller players whose presence is threatened with bigger global brands with cheaper prices coming in, how should a brand prepare itself for an India launch? Entrepreneur India spoke to marketing and branding experts to know what makes for an ideal brand launch. IKEA’s entry into India was one that had been spoken about with speculations even way before its launch. From stories about customizing its iconic food menu for the Indian market to slashing its prices even further for its audience here, there was a common theme running through all of the headlines – that IKEA really understood the pulse of the Indian market. Harish Bijoor, Brand Guru and Founder, Harish Bijoor Consults Inc. said that IKEA the brand wants to look concerned about everything that is green, echo, and human and earth friendly and that’s a great image to have and nurture. “IKEA replicates this in its India foray. It can only earn a lot of positive strokes with its positive efforts. IKEA wants to look more than just a crass commercial brand wanting to gobble up your moolah. It wants to be seen differently and its India effort has surely succeeded on this count already,” he said. The company finally made its way into the Indian market, six years after it was planned and experts believe that it was a good idea to have held on to the big launch. “The brand invested its time in staying relevant to Indian audience by understanding what makes its residents tick. Through extensive research about Indian consumers, the brand soon realized that the Indian users are primarily on digital, especially mobile, and tried to use it to its benefit,” said Anshul Sushil, co-founder, Wizikey. For any company, digital marketing is one aspect that they can’t miss. To garner the interest of the audience, it’s all about viral marketing campaigns and twitter trends. Especially for a company that is eyeing the internet-savvy millennials, it’s important to catch them where they are – on their phones. Sushil too points out a buzz needs to be created around the brand and its products through innovative digital content pieces that are relevant yet aspirational. “From using VR to give users a virtual experience of what it would be like to walk through an IKEA store to sending empty IKEA cartons, announcing the date of first IKEA store, on the conveyor belt at Hyderabad, the brand has been creating multiple digital content bits and engagement pieces to speak to consumers. They even leaked (yes!) the sales data to the geek and much to the excitement of this startup frenzied nation,” he said. Global brands when they enter a new country, here India have to bring in the flavor of glocalization – which means their global quality products need to have the local finish. It’s important to understand the India quotient and build your products accordingly so that it obviously sells here. IKEA too did away with its famous meatballs and introduced samosas in the menu. However, there’s also a hurdle there. India has many small and medium enterprises that are threatened with a global brand’s presence. Similar to the protests that happened against Walmart’s entry into India by local traders, IKEA too saw resistance from small players. Bijoor believes that in such a scenario the brand needs to appreciate that there will be one big sentiment to battle in India. “This is not a consumer sentiment as much as a fellow-business sentiment. Smaller players in furnishing and furniture space will be eyeing the IKEA efforts as the effort of a large global multinational and transnational juggernaut, out to gobble up local businesses. IKEA needs to be ready to face that sentiment challenge,” he said.